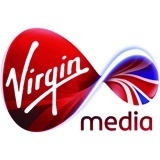 Virgin Media will double the speed of its broadband service for more than four million of its customers, the company says. The upgrade, which begins in February, will also see the service’s top speed increase from 100Mbps to 120Mbps. The government has set targets to improve the UK’s broadband speeds considerably in the next three years.